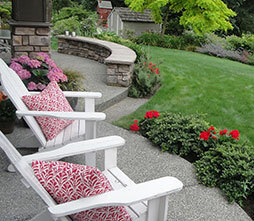 Land2c Landscape Architecture integrates the science of landscape architecture and the aesthetics of fine garden design. 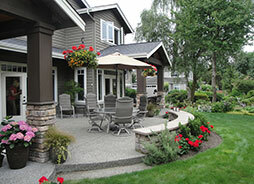 We create high-quality, earth-friendly exterior spaces where people and plants live in harmony. How you wish to use your space should be a driving factor in design decisions. 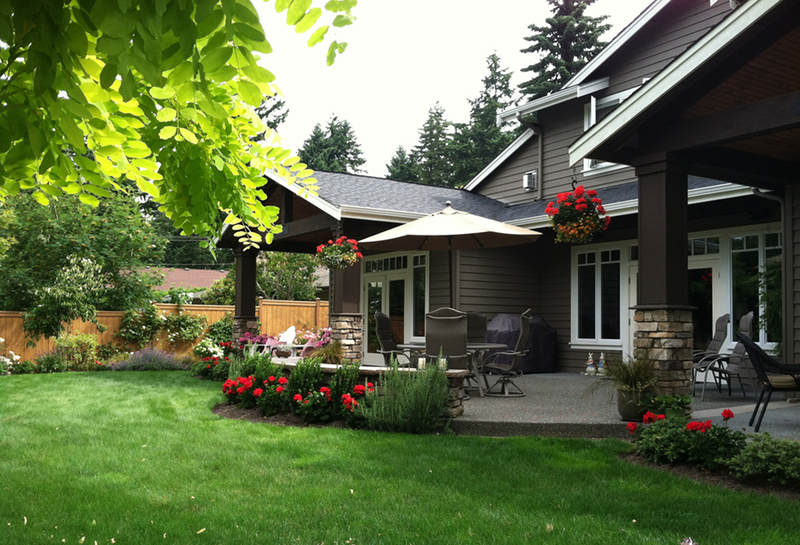 Exterior spaces should be highly usable and appealing. 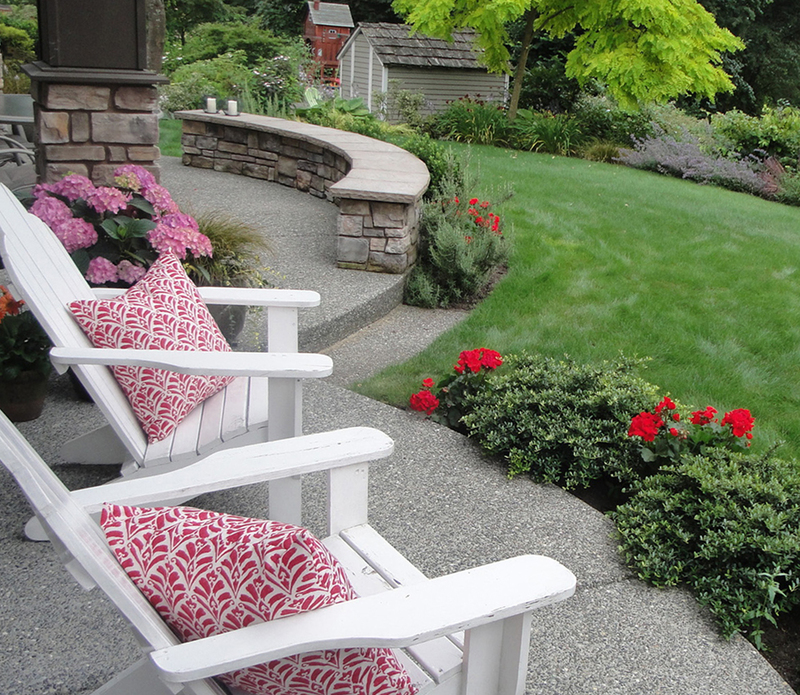 Good landscape architecture provides seamless connections between the interior and exterior spaces. 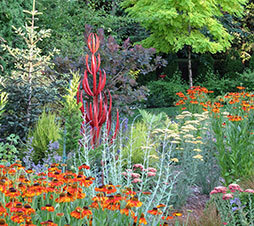 Finding and enhancing the ‘spirit of place’ is important for a garden to be truly satisfying. Land2c gardens have been featured in a variety of publications: Seattle Times and PI gardening columns, 2 specialty magazines--Distinctive Backyard Ideas and Backyard Solutions, several garden design books, Better Homes and Gardens magazine, and Monrovia’s annual calendar has featured several photos of Land2c garden designs. 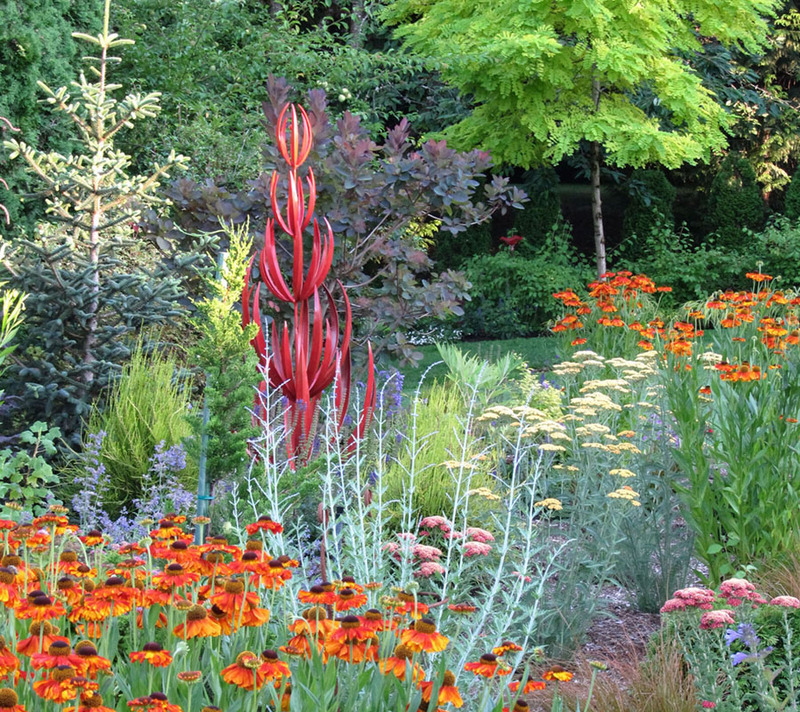 Land2c gardens are frequently on garden tours, most recently on the July 2014 Woodinville Garden Tour. That garden was featured in Valerie Easton’s, The Natural Gardener, column in July 2014 Seattle Times NW Magazine. Kat joined APLDWA first in 2004 and has served on the APLDWA board. 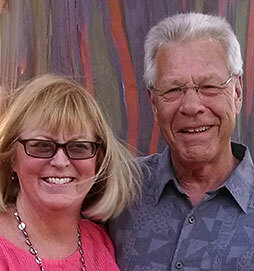 Both Tim and Kat are enthusiastic members of APLDWA. Tim King, ASLA Tim first earned a BA in Business Administration and then returned to school to earn a BLA from the UW in Landscape Architecture. He is a licensed landscape architect and member of the American Society of Landscape Architects (ASLA) On the Land2c team Tim takes lead responsibility for the major design including the horizontal and vertical connections between the home’s architecture and the landscape—decks, terraces, slopes, stairs…. Tim teams with other environmentally conscious architects and engineering professionals in designing livable environments and communities. He is an active member of the Samish Indian Nation, currently serving his third term as Council Vice-Chairman. He also works on Indian land development projects as a landscape architecture to promote sustainable land development practices. Kat King After completing a M.Ed. Kat taught for the Bellevue Public School District. 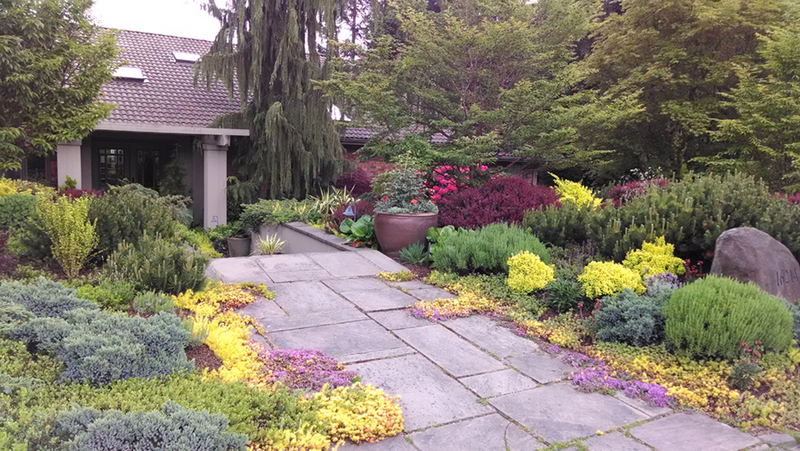 After retiring she enrolled in Horticultural Design at Edmonds Community College to pursue her interest in garden designing. 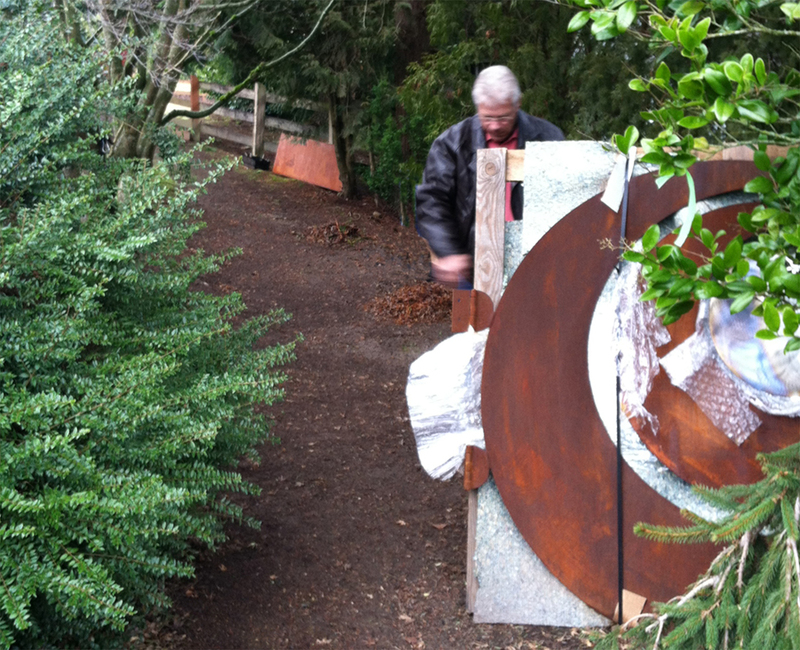 Kat takes team responsibility for selecting plant combinations, containers, garden furniture, and artwork. 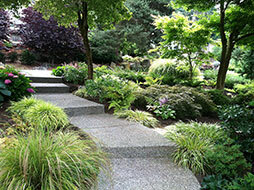 She believes strongly that clients need to understand what is needed to maintain their gardens. Land2c provides the information to maintain the intent of the new landscape. 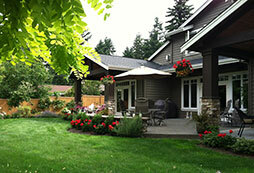 She enjoys getting clients enthused about the process of designing and caring for their garden’s new outdoor rooms. Land2c began working with the client on the landscape design just as the house exterior was almost completed and before any exterior hardscaping was started. Our scope of work was from the fountain to the property line—walkways, driveway, grading, soil berms, drainage, and the planting plan. Because we were involved from the beginning we were able to insure that the architecture and landscape complimented each other. Exterior views were created to take advantage of the large windows the architect designed and to enhance the natural qualities of the site. Borrowed landscape was gained from a green belt that bordered the garden increasing the view shed and creating privacy. 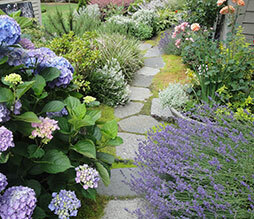 Physical and visual destinations were designed to draw people into the garden. 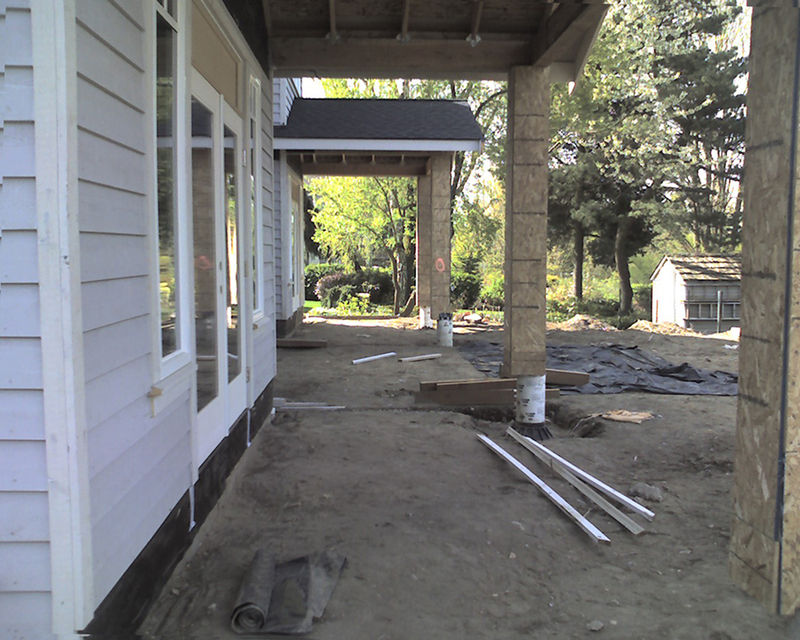 The clients also saved construction time and money as needed utilities were buried and improvements made to the original exterior plan in the most cost-effective order. This new home and garden has a casual but polished, cared-for feeling. 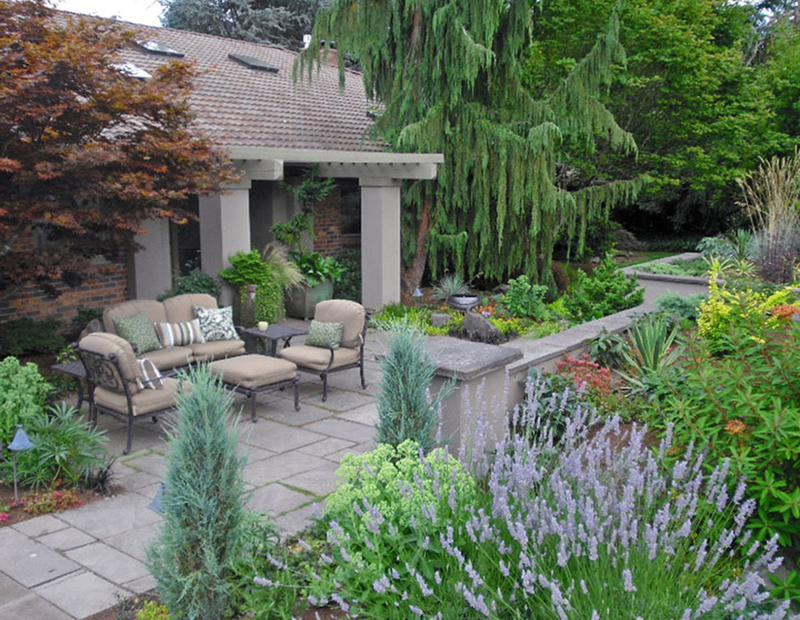 The entry area has a strong street appeal flanked with evergreen plantings and large ceramic pots. The driveway was designed for easy back up and turn-around from the double garage to prevent dangerous backing out onto the street. 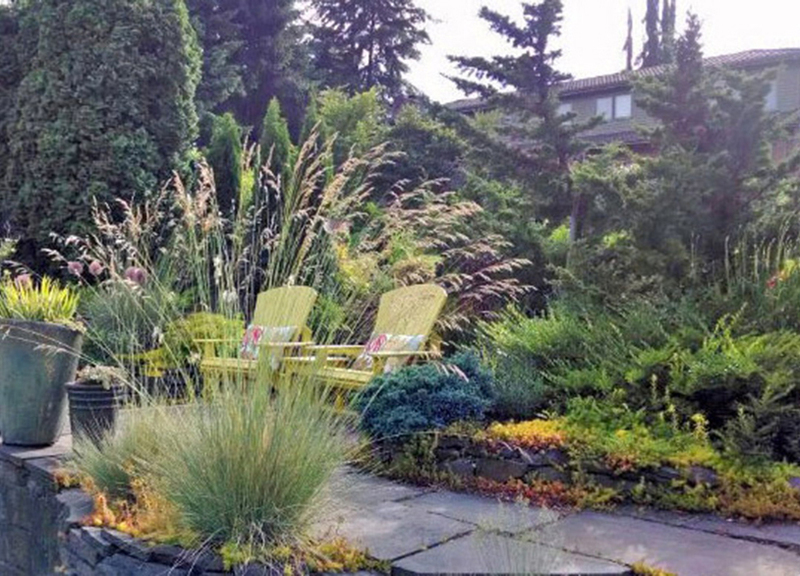 The plant material is largely evergreen with contrasting textures and color combinations with year-round interest. 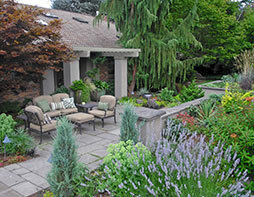 The only higher maintenance plants are perennials. 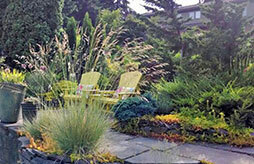 Our client had requested several plant collections and a color scheme which were designed into the landscape. The views from the Master and Great Room and large terraces are lush with the back greenbelt providing a classic NW background. Fences and low hedging provide implied privacy from flanking neighbors and the street. All sides of the home and exterior doors are connected with walkable pathways winding through appealing shrubs, lush containers, and interesting plant combinations. The architect designed small individual terraces for the three interior spaces that front the garden – kitchen, great room and master bedroom. Land2c designed one large terrace with “lobes” for each interior area that is unique to the space. The great room lobe is the largest with a seating wall and barbeque area. The kitchen lobe has an outdoor fireplace and the master bedroom lobe is the smallest with just enough room for a couple of Adirondack chairs for enjoying morning coffee. Some pavers from the existing entry walk were replaced with groundcover to soften the edges. 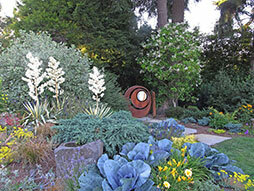 The expanded planting bed and feature sculpture beautify a plain arborvitae hedge that hides the sports court. 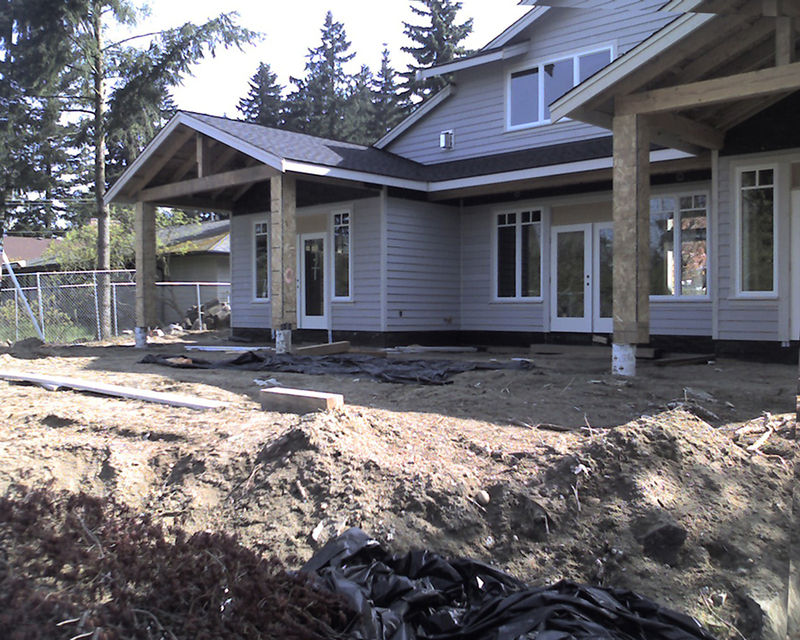 8 years ago Land2c began working on this one acre Woodinville home with the clients to increase the beauty, entertainment opportunities and to uphold/maintain the peaceful feeling of the treed country setting. 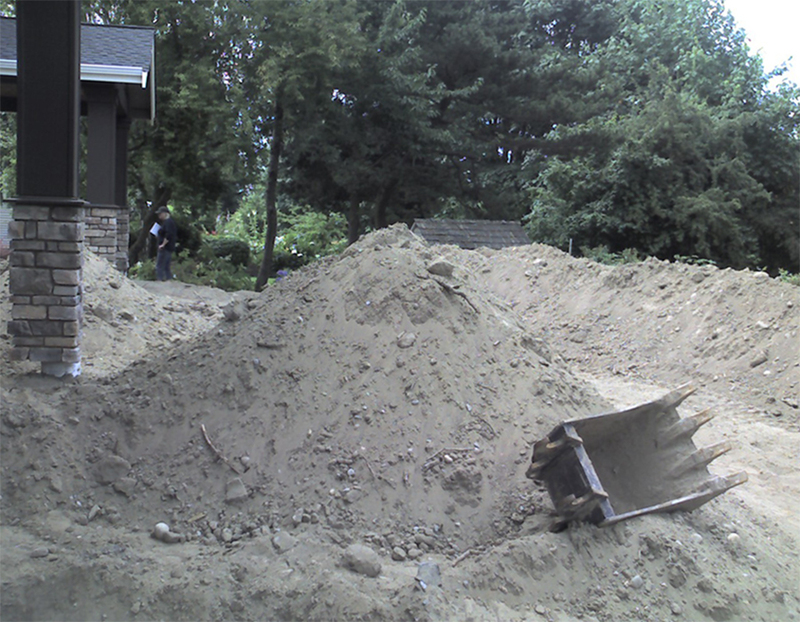 One of the major goals has been to keep the maintenance to a manageable level as the property is so large. 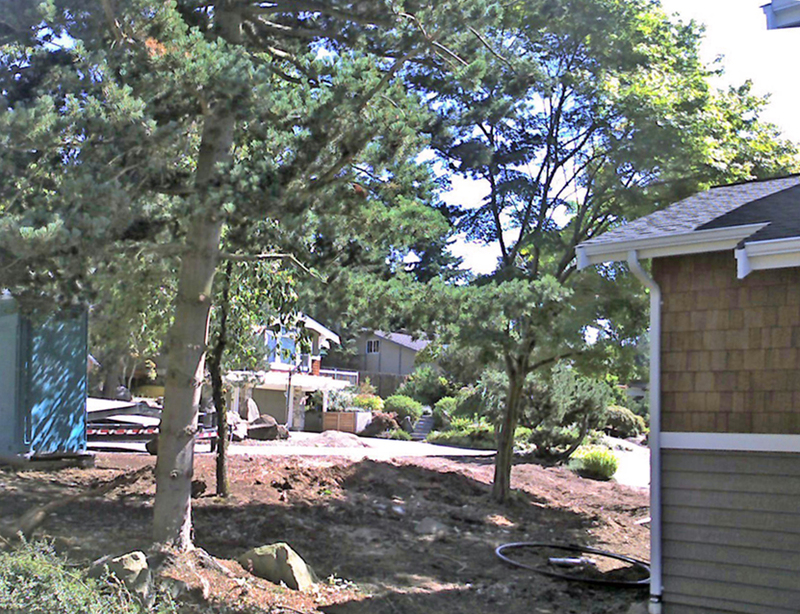 Many conifers, spreading evergreen shrubs, and repeating plants were used to simplify pruning and seasonal care. 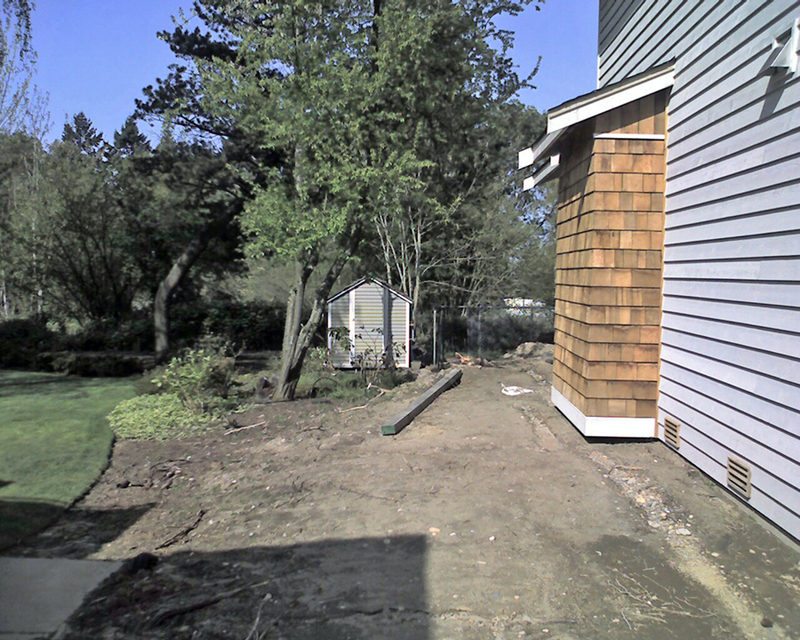 When Land2c started working on the garden renovation the street side plantings were very over grown and there wasn’t a good sense of entry to the house. All the plants were removed and large berms were created to physically set the area apart from the street. A new, low maintenance garden was designed and installed. A large address rock was set into one of the berms to identify the location. A lovely front entry court was created as a destination as guests move through the garden from the street to the front door. In the back there is a commanding eastern view of the Cascade Mountains but there was no connection between the house and the garden. There was a large deck with stairs leading to the lawn and a sports court that was hidden from view behind a large arbor vitae hedge. The creation of destinations, pathways, and the elements chosen for the garden has made the home as comfortable for 2 people relaxing and for groups of 40 or more. The clients have collaborated closely with Land2c to improve the flow between different areas within the garden. Both have been extremely hands-on with the stonework and planting. 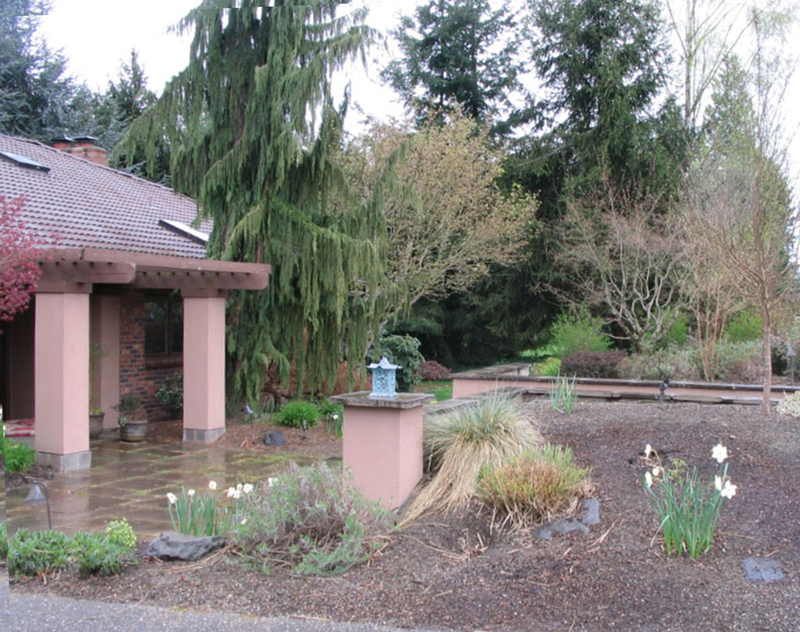 The home is now surrounded with beds, paths, several quiet seating areas, and 3 different entertaining areas. Views have been enhanced between different areas and from the interior of the home. Large ceramic planters and furniture are placed throughout the garden as interesting focal points as are several lovely art pieces. They add interest and quiet seating throughout the year. 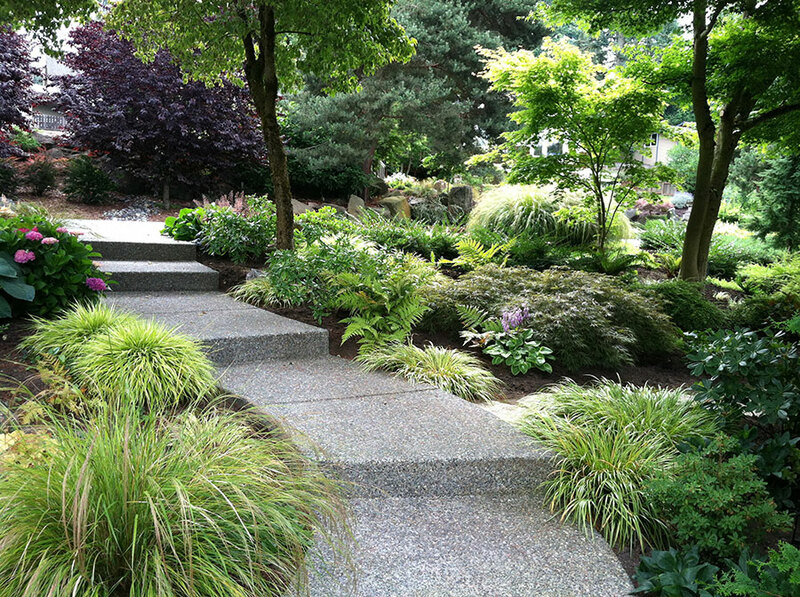 Custom fountains provide soothing natural sounds close to main pathways. Two new bluestone terraces and the view deck have comfortable furniture groupings. One terrace features a fire table that converts to a coffee table These clients love entertaining friends and their family outdoors in the areas they now have. If you are interested in exploring working with Land2c please fill out and submit the Client Questionnaire from their website.